We educate and inspire the heart and mind of each child to become a courageous and confident leader who knows and loves God, and who reveals that love by serving others. Educating and inspiring young people for 200 years, the Academy of the Sacred Heart claims a rich history of love and learning. 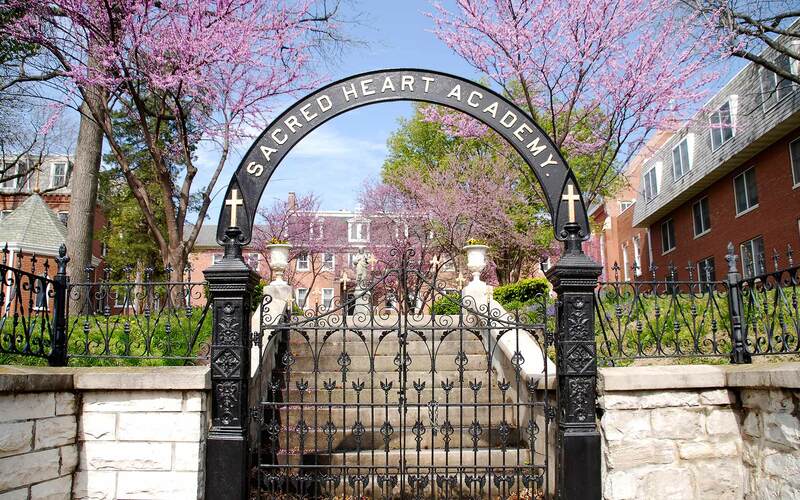 Founded in 1818 by St. Rose Philippine Duchesne, the Academy was the first Sacred Heart school outside of France and the first of many in the United States and beyond. Today we are an independent Catholic elementary school with a full-day preschool program, united with Schools of the Sacred Heart around the world in a philosophy of education that is expressed in five goals. A personal and active faith in God. A deep respect for intellectual values. A social awareness which impels to action. The building of community as a Christian value. In the Goals and Criteria, the Society of the Sacred Heart defines the mission of the school as part of the Society’s educational mission in the Catholic Church. Each school is accountable to the Society through the Sacred Heart Commission on Goals for adherence to the Goals and Criteria. Each school’s Board of Trustees and Administration establish and uphold policies that are consistent with the Goals and Criteria. The school allocates its resources to support each Goal and its Criteria. The school is in compliance with professional standards as stated by accrediting agencies. Rooted in the love of Jesus Christ, the school promotes a personal relationship with God and fosters the spiritual lives of its members. The school seeks to form its students in the attitudes of the heart of Jesus expressed in respect, compassion, forgiveness and generosity. The entire school program explores one’s relationship to God, to self, to others, and to all creation. Opening themselves to the transforming power of the Spirit of God, members of the school community engage in personal and communal prayer, reflection and action. The entire school program affirms that there is meaning and value in life and fosters a sense of hope in the individual and in the school community. The school fosters inter-religious acceptance and dialogue by educating to an understanding of and deep respect for the religions of the world. The school presents itself to the wider community as a Christ-centered institution and as an expression of the mission of the Society of the Sacred Heart. The school develops and implements a curriculum based on the Goals and Criteria, educational research and ongoing evaluation. The school provides a rigorous education that incorporates all forms of critical thinking and inspires a life-long love of learning. The school program develops aesthetic values and the creative use of the imagination. The school provides ongoing professional development for faculty and staff. Members of the school community model and teach ethical and respectful use of technology. The school educates to a critical consciousness that leads its total community to analyze and reflect on the values of society and to act for justice. The school offers all its members opportunities for direct service and advocacy and instills a life-long commitment to service. The school is linked in a reciprocal manner with ministries among people who are poor, marginalized and suffering from injustice. In our multicultural world, the school prepares and inspires students to be active, informed, and responsible citizens locally, nationally, and globally. The school teaches respect for creation and prepares students to be stewards of the earth’s resources. The school implements an ongoing plan for educating both adults and students in the heritage and mission of Sacred Heart education. The school promotes a safe and welcoming environment in which each person is valued, cared for and respected. Adult members of the school model and teach skills needed to build community and practice clear, direct and open communication. The school has programs that teach the principles of nonviolence, conflict resolution and peacemaking. The school makes a deliberate effort to recruit students and employ faculty and staff of diverse races, ethnicities and backgrounds. The financial aid program effectively supports socioeconomic diversity. The school participates actively in the national and international networks of Sacred Heart schools. All members of the school community show respect, acceptance and concern for themselves and for others. School policies and practices promote self-discipline, responsible decision-making, and accountability. Students grow in self-knowledge and develop self-confidence as they learn to deal realistically with their gifts and limitations. School programs provide for recognizing, nurturing and exercising leadership in its many forms. The school provides opportunities for all members of the community to share their knowledge and gifts with others. All members of the school community take personal responsibility for balance in their lives and for their health and well-being.